Enter your information into the required fields below. We will contact you with your system design calculations already done. The solar irradiation data from your location will be used to design your, just right system. Are you sure that's it? or is there also a? No There are no more buildings Granny flat Shed Shed with a workshop Home based business with Equipment Pool Pool with a Spa Large indoor hydroponics setup for growing "tomatoes"
Which appliances do you have the Kitchen? Which appliances do you have in the rest of the house? 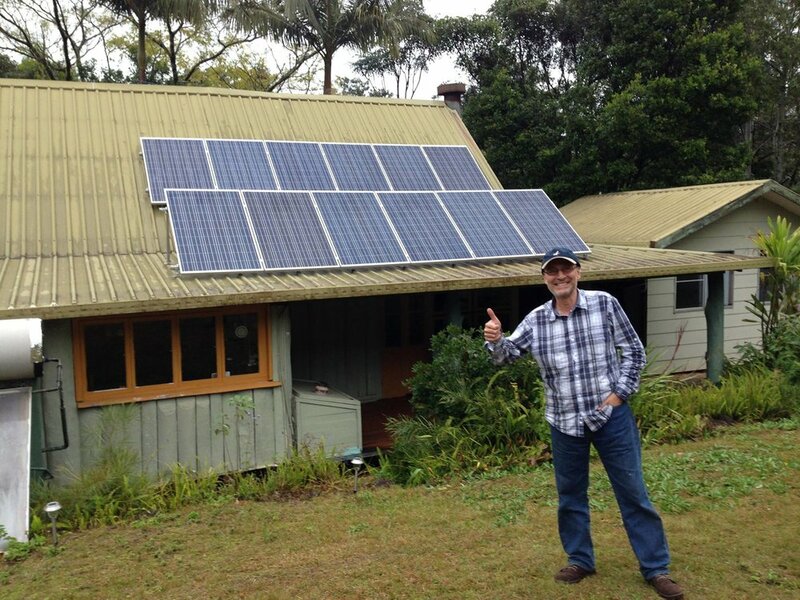 Geoff's 3kw system, norther NSW . Working well.